It should be noted right off the bat that this new record marks a trek back to the groups Effloresce boards fellow, Chris Sheldon. This actually matters a lot because he was more effective in bridging the groups melody with the experimental wildfire that permeates their existence. The influence of previous hands is particularly appreciated in the vocals department. With Sheldon back, gone are those all too frequent moments of Mike Vennarts croons being completely shredded into non-existence thanks to the tornado of guitars and drums that dominate the lions share of Oceansizes material. But aside from a return to far superior mixing, layering, and icing, the first few spins of Frames sends an initial notion that the guys have gone a little soft in their search to bypass their craft into a mainstream conduit without completely selling away their souls. Fortunately, thats not quite the story here. After repeated ventures, it comes to full fruition that Oceansize has actually executed the imminent amalgamation album - only about two or three albums earlier than the usual timeframe suggests. Though, it shouldnt come as a surprise that the group writes their record thats a mixture of all their priors at this point. Having already dipped their creative process into progressive, alternative, metal, nü-metal (yes, Oceansize has a taste of that dreaded style), 90s grunge, and just about every form of post-whatever known to modern man, probably the next logical step was for them to hold back just a little and recognize just what it is from those respective genres they do exceptionally well. The result of this new approach is unquestionably the best album they have written thus far. The near flawless pacing of Frames begins with the astonishingly performed Commemorative ____ T-Shirt. They perfected that plodding tempo, seductively layered and a mellow-spoken constructional design attempted on the previous The Charm Offensive. Heck, the bands job was relatively easy by simply pushing the melody to the forefront via balancing out the vocals and instruments (again, thanks Oceansize, thanks Sheldon, for noticing what sucked about Everyone into Position). The exact same thing can be said for Unfamiliar, as it calls to mind an advanced, swifter take on Heaven Alive (a song that couldnt be understood without lyrics in hand) with improved polish and an effective incorporation of toned down versions of the random timing changes present on the Music for Nurses EPs One Out of None. Sleeping Dogs and Dead Lions erratic nature is also comparable to the opener of that extended play, but like its peers, the finer implementation marks complete mastering of the bands take on that plan. Despite what has been said, excelling at throwbacks isnt the only thing that Frames demonstrates well. Somewhat contradicting its solemn, minimalist range, An Old Friend of the Christys is the most engaging instrumental the group has ever created. 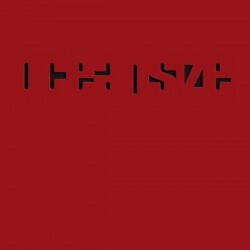 Its tough to decide whether or not Oceansize should be thanking their talent or their lucky stars that this ten-minute composition not only isnt boring, but outshines a great deal of the absurdly overrated post-rock instrumental genre that actually is comatose inducing (wont name names). Other ultimate highlights of Frames are given in the calmly expansive Only Twin, and the crowning jewel of this album, Trail of Fire. The first mentioned makes more than praiseworthy use of airy, spacious instrumental noodling thats coupled seamlessly with whispery storytelling before expanding gently into its euphoric climax. The quintet takes it to the next level with Trail of Fire, an epic melody that maximizes the intricate layering style that has become the bands calling card. In the end, Frames brandishes the near full cultivation of everything Oceansize has been trying to accomplish in such a brief period of time. Already proving to be light-years ahead of so many of their peers, one can only wait with bated breath to see what they do next. For the time being though, this record wont be leaving the rotation anytime soon. Posted Nov. 6, 2007, 2:35 p.m.